Raised in Enniscorthy, County Wexford, in the Southeastern corner of Ireland, Bertram and his six siblings, April, Grace, Lucy, Ivan, Harry and Ruben, were born into a family with a strong equine influence. Bertram's dad Bert had racehorses so an interest developed and Bertram went to the nearby riding stables, Carrigbeg where Sue, Chris, and Daphne Burgess thought him to ride. His Mum Geraldine was soon bringing him to weekly shows with his first pony Charlie B. Next were lessons from Mag and Con Power who together with Billy Twomey became the most influential people in his early career. Hunting also played a big part in Allen's house, with the children hunting with the local Bree and Wexford Hounds. Like most Irish riders, Bertram received a solid preparation for his professional career in the pony ranks, he soon won every championship in Dublin, starting with the 128 Pony Championship on his fabulous pony Magic Shadow (now retired in Hunxe with Bertram). He also won the European Championships Individual Gold medal and team silver medal in Bishop Burton in 2010, and the following year he won Individual and team silver medals. Towards the end of his pony career, Bertram started taking lessons from Irish rider, Billy Twomey. It was also he who found Bertrams’ three first horses: Molly Malone, Wild Thing, and Romanov. At the age of 15, Bertram moved permanently to Hünxe in Germany to develop his jumping skills with his three horses. Marlene Schannwell, who is still Bertram’s show groom quickly joined him. Today the yard in Germany is busy with 20 horses. 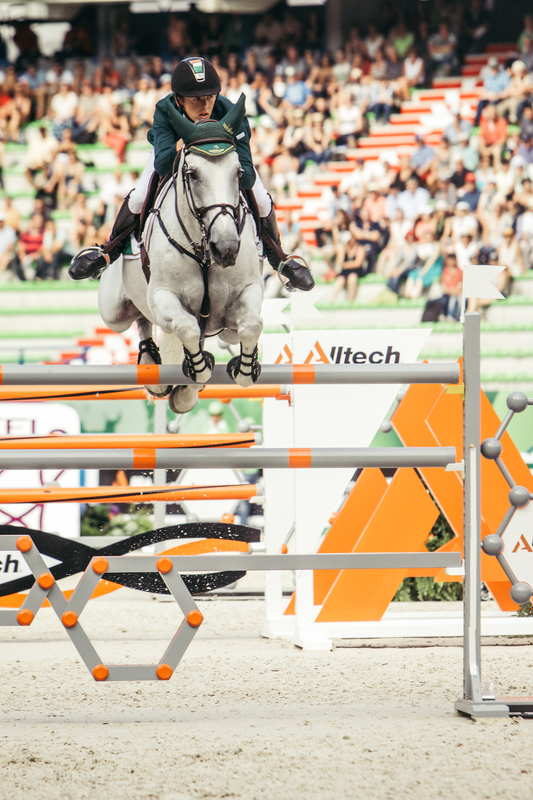 From Hūnxe, seventeen-year-old Bertram made his international debut as a senior rider, jumping a double clear for the Irish Nation's Cup team in Linz Austria. At this time Billy introduced the family to Marcus Ehning who has helped and guided Bertram ever since. At the age of 18, he won the first leg of the World Championship in Normandy, finishing 7th individually with Molly Malone V. The year after, he finished 3rd in the World Cup final in Las Vegas. 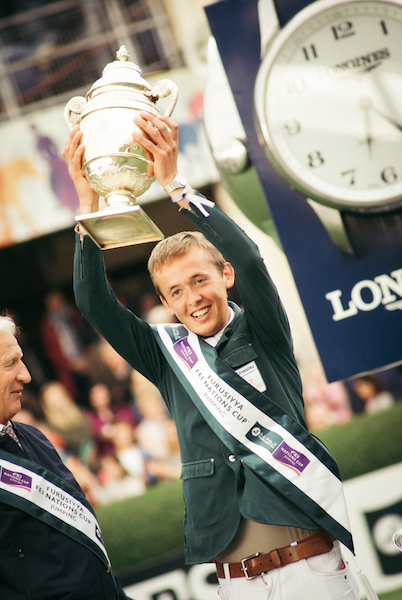 And at the age of 20, Bertram was already ranked 5th in the Longines FEI World Show Jumping Rankings. 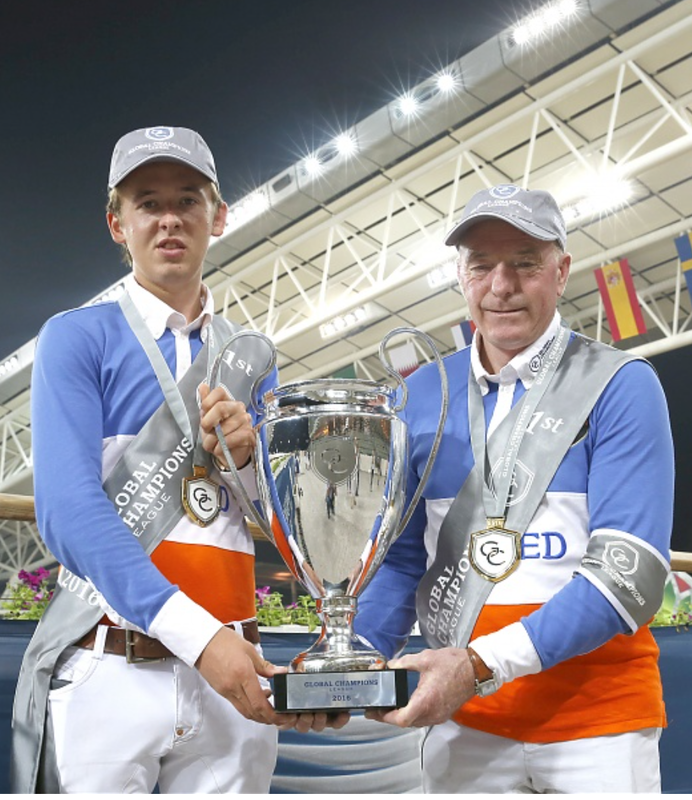 Bertram marked his departure from teenage years in 2015, with a win in the Furusiyya FEI Nations Cup in Dublin from where he travelled to Germany to jump on the Irish team at the European Championships in Aachen. 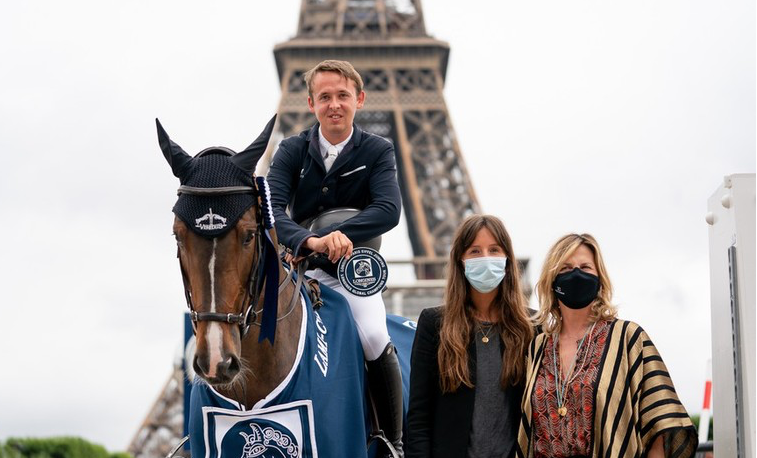 In 2015 he also became the youngest rider to win a round of the Global Champions Tour, winning the Longines Grand Prix de Paris in 2015, riding Romanov. In 2016 Bertram's success at the GCL and LGCT events put him on top of the LGCT rankings, in 6th place. In 2017 Bertram took part of the Irish team at the European Championships in Gothenburg, winning the European Championships Team Gold. For all results, have a look at the merit list. Junior Europeans Vejer De La Fontera Spain Indivdual Silver with Molly Malone. 1 Grand Prix Ebreichsdorf Austria CSI *** with Romanov. 3. place Grand Prix Saut Hermes CSI***** with Molly Mallone. Winning team GCL Mexico with Hector. Winning team first round GCL Miami with Hector. Runners-up GCL Miami with Hector.